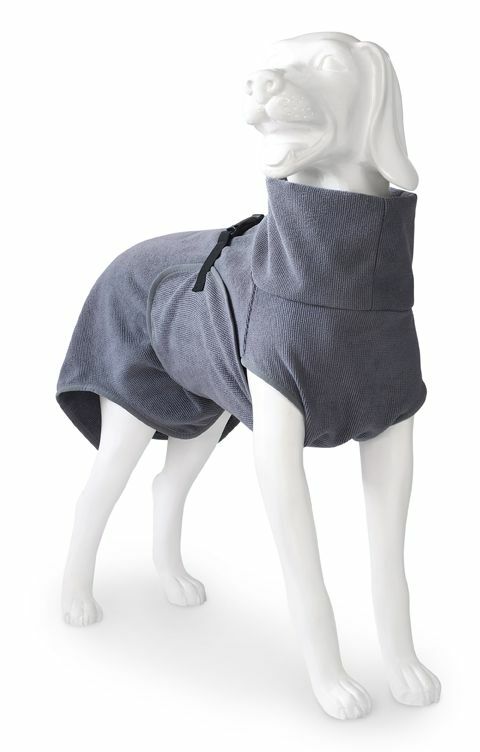 A super comfortable and convenient dark grey dog bathrobe that will dry your dog quickly. In many sizes. A dog will not always like it to be wet and many dogs will shake itself nicely to be dry. Not so funny when it happens in your home or car! 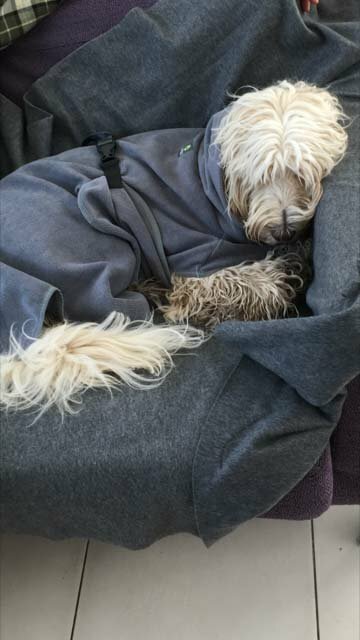 This dark grey dog bathrobe is therefore the perfect protection for your furniture, car, wall and yourself. 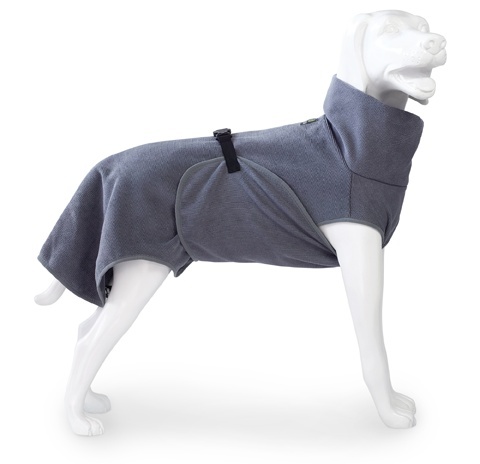 The robe for your dog is made of microfiber and is an excellent solution to dry your dog quickly. You simply pull the robe over the head of your dog and the dog bathrobe will quickly pick up the moisture from the coat. The large collar is extra thick and wide so that the bathrobe can also be used without problems in dogs with large heads. 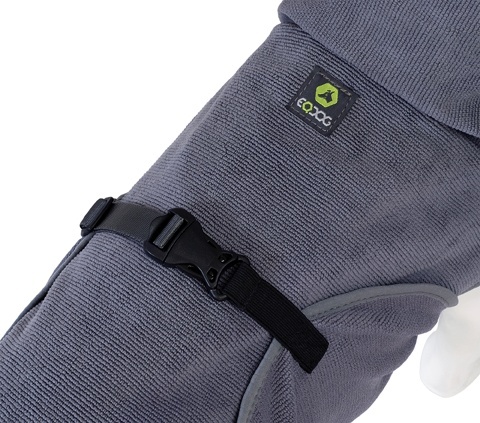 The wide flap on the belly soaks up all the moisture that runs down the back of the dog and the long upper panel covers your dog nicely. You can choose from the following sizes, make sure you measure the waist circumference and not the breast size!